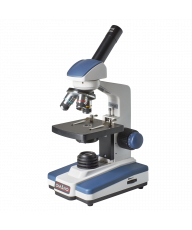 The Motic B1 Series is designed for high school and university students, with large, easy-to-operate focus knobs and stage controls, and widefield eyepieces which are more forgiving of a student's head and eye movement. 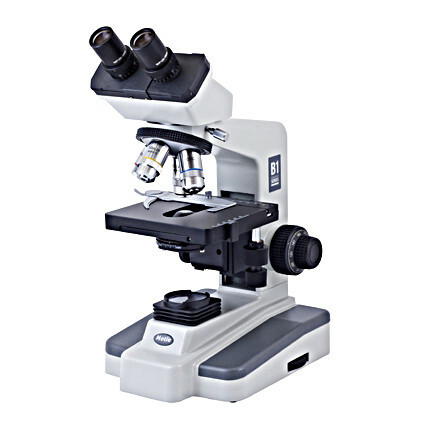 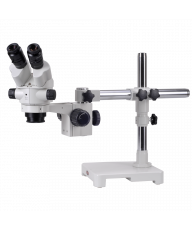 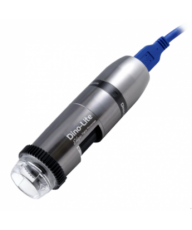 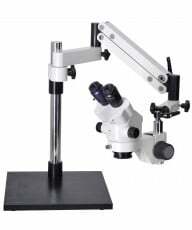 It features a fully rotating, 45 degree-inclined binocular viewing head with 10X widefield eyepieces, 53mm to 72mm of interpupillary adjustment and individual diopter adjustment for each ocular tube. 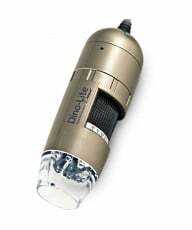 Designed around a forward-facing quadruple nose piece, the B1 offers a choice of binocular or trinocular configuration with Super Contrast objective lenses.